pondering 2 Sam 5:1–5, 9–10 I read a bit before this, to remember the flow of David's story. He has lamented the death of Saul and his son Jonathan; Judah and Israel have been at war; here, Israel asks David to be their King, as he has been King in Judah for seven years. The divided kingdom is united. God is praised, God is understood to be the reason for David's greatness as King. I wonder about the places in our world today that are at war. I wonder about divided realms. I wonder about the courage and humility it takes to approach the King of your opposition and seek reconciliation, because, after all, we are one. We tell stories in order to keep moving from fear towards love, from inhumanity towards humanity. Join storyteller Sarah Agnew for stories of courage in the face of persecution, execution and war. The Centre's monthly storytelling session, with an open-floor section for storytellers to tell their own tales, all in the relaxed surroundings of the Storytelling Court. Click here to book your ticket. see you there! 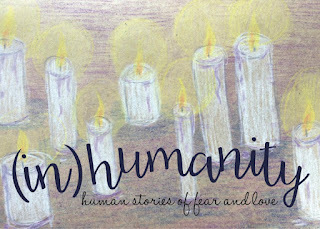 Read reflections on the (in)humanity stories in development here. if it really fell at all? slapped in falling passing tumble? remain unchanged? It is so? the call of a dream: at what cost? It is true that one cannot pursue one's dreams and calling – the core task of my present season – without such resources as money provides. It is also true that the seeking of that money, the completing of application forms and job applications and interviews, the roller coaster ride of effort and waiting and rejection uses up energy and time meant for the core task of this current season. Further, it is true that the working for that money (if the calling itself receives no investors so that it may become the work one does for the living one receives) takes time and energy away from the work one is meant to be undertaking, following the call that lays claim to one's life. is it back so soon for more? This morning at Greyfriars, Richard invited us to remember our baptism, recall our calling from the Holy One to be our truest, fullest selves for the completeness of the woven tapestry of life. 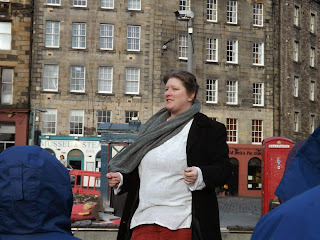 This evening at Greyfriars, the stations, the silence, the poetry of NiteKirk invited us to enter joy. And so this poem flowed from the contemplation of the day. New recording of an old poem.